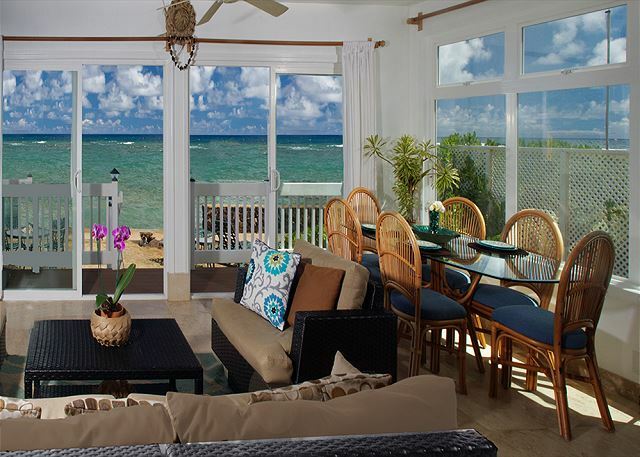 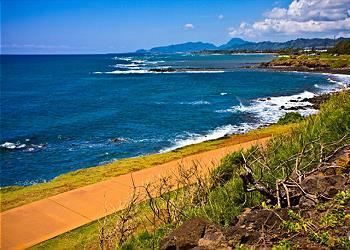 Aliomanu is a secret seaside escape, hidden just off the beaten path on the North Shore. Seated at the feet of the sacred Kalalea Mountains, the neighborhood of Aliomanu is highly revered and remains a peaceful sanctuary to all. 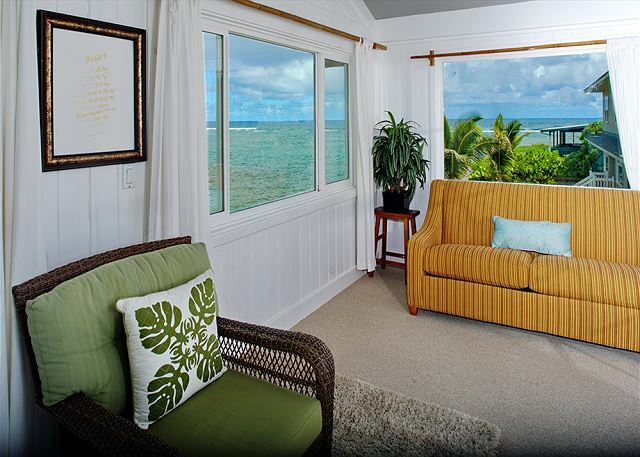 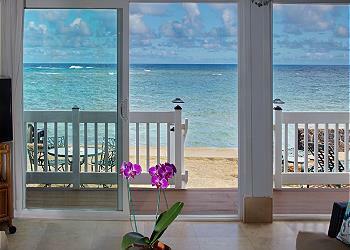 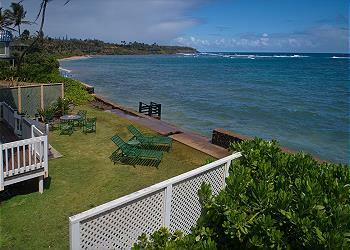 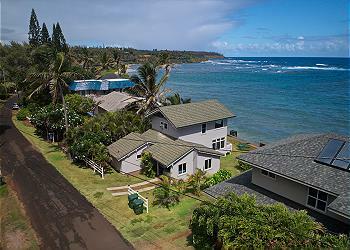 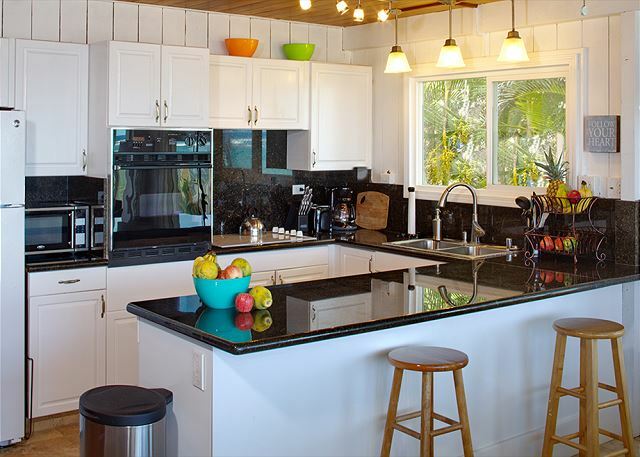 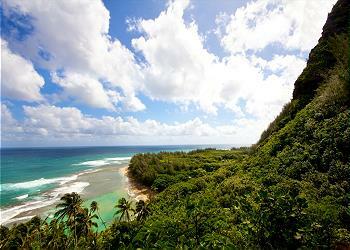 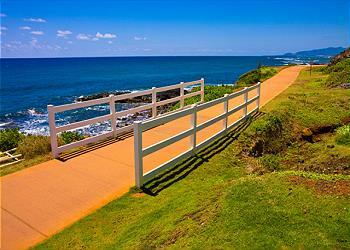 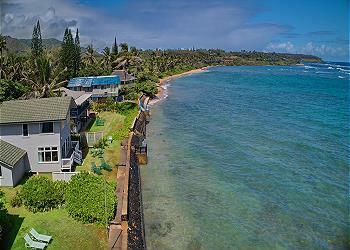 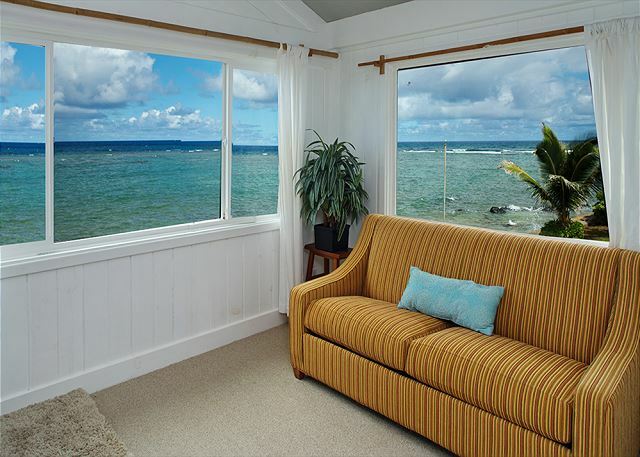 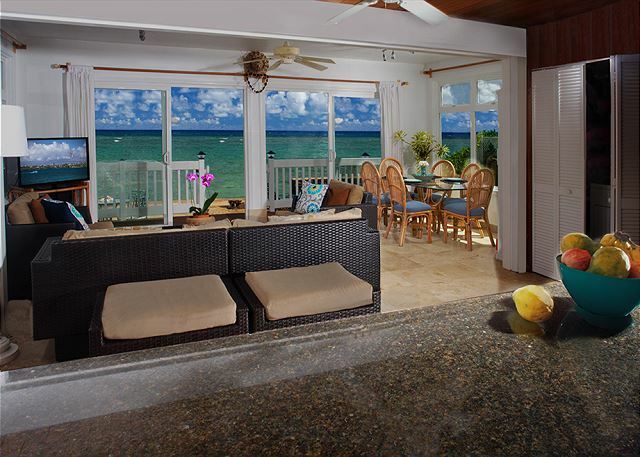 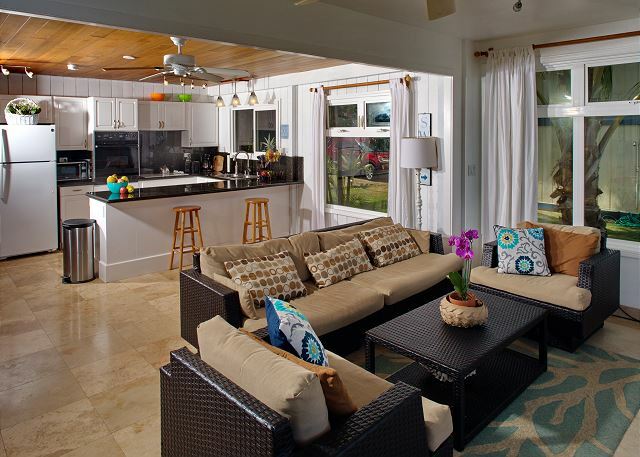 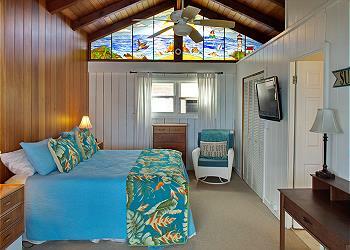 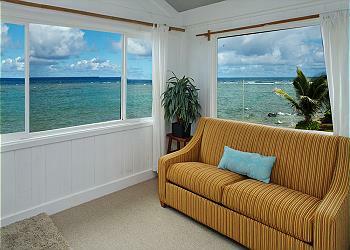 This oceanfront, 2 bedroom hale (home) in Aliomanu is just steps from one of Kauai’s most private beaches. 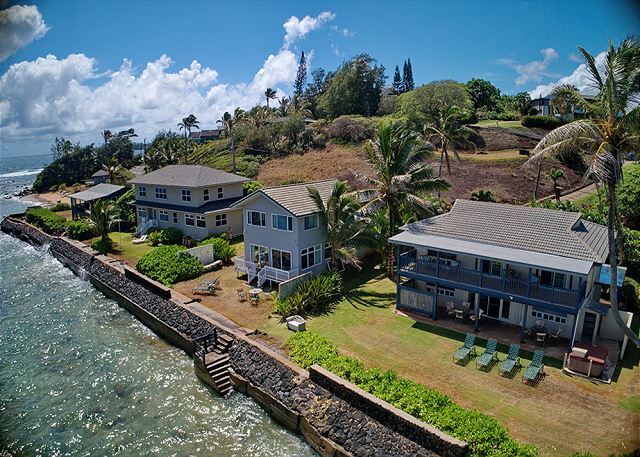 Rarely visited by tourists, you will have unique access to spectacular swimming, snorkeling, beachcombing, daily sunrises and monthly moonrises. 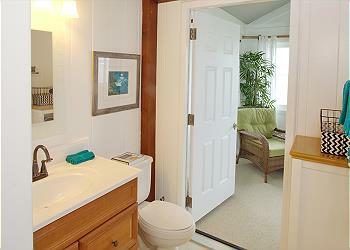 The home itself is as ideal as the location. With an open floor plan, panoramic ocean views, sleek aesthetic and high-end amenities, this beach house has unbeatable appeal. 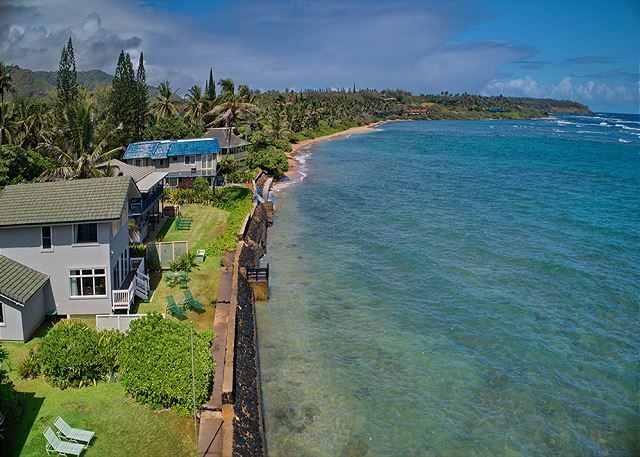 Located on the North East Shore, this quiet neighborhood has direct beach access and is within walking distance to Whaler’s General Store, Duane’s Ono-Char Burger and Kalalea Juice Hale (best Açaí Bowls on island!). 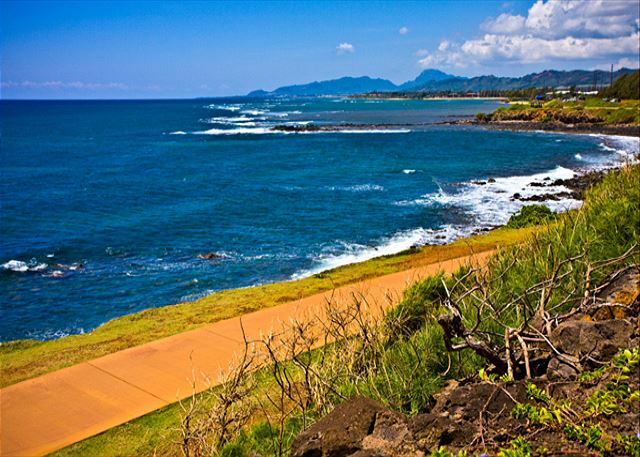 Only 5 miles from Kapaa Town and 10 miles to Kilauea Town, you have easy access to North Shore, East Shore and South Shore adventures! 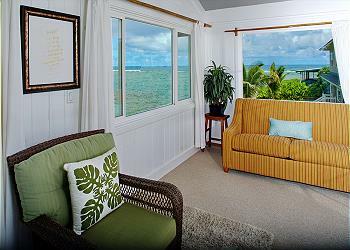 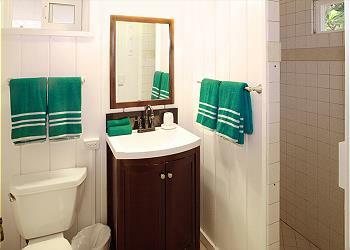 Please note there are small window ac units in each bedroom not central ac throughout the house. 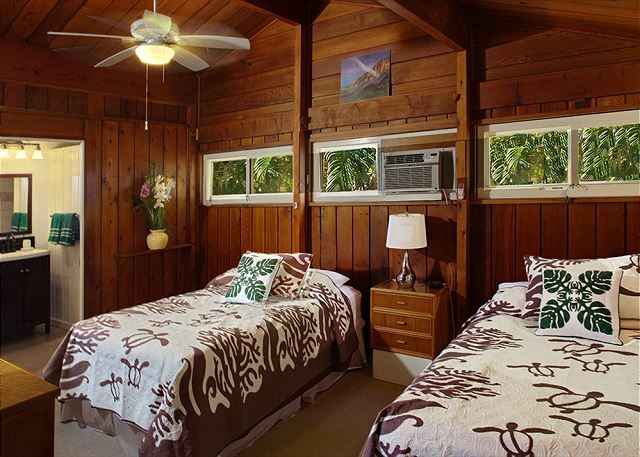 AC on Kauai is really only needed a few months each year but the owner added these to make sure guests are comfortable year round.